I'm slowly going to make my way back into blogging again. I figured an easy way to do that was to post on someone else's blog. What? Well, it makes sense in my head. Actually, Micaela over at California to Korea was looking for homeschoolers with children who span the ages to interview for her How I Homeschool blog series so I answered her questions and figured, I should let people know about it. If you'd like to read what I wrote (and what The Professor had to say, too) you can click over and read. It's long. Sorry about that. I can't shut up when I'm nervous and answering questions makes me kind of nervous. As I said in the interview, I don't like to give advice because what works for my family, won't necessarily work for someone else's, but I don't mind telling people about our specific experience so that they can decide for themselves what might work and what might not. Check the bottom of the post for Micaela's links to all of her other interviews. 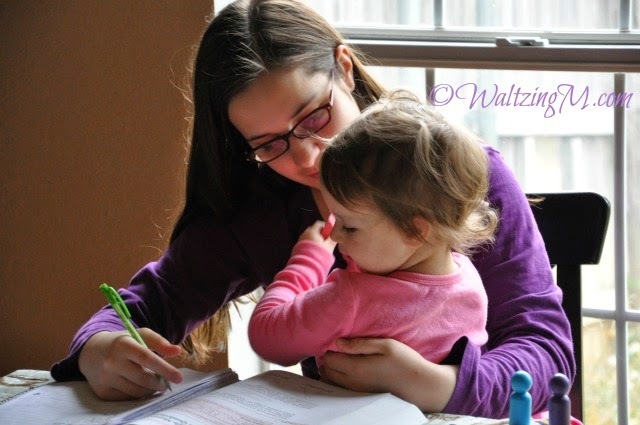 I think it's a great idea to get a basic idea of what homeschooling looks like for all different kinds of homeschooling families including us older moms. Older moms? That sounded awful. Um… how about… "more experienced"? Still cringing. Oh well… I give up. I've been doing a lot of thinking about this big crazy blog world with all it's changes and what not and how to make my way through it. I need to sit down and start writing some of them. I admit that I'v enjoyed my time away. It has been enlightening. But I also miss recording the fun stuff that we've done. So, check out Micaela's post for now and I'll be back later.